Lahore : Following its initial announcement of an agreement with Apple for the launch of its iPhone 6s and iPhone 6s Plus in Pakistan through Mobilink, the telco has now announced that the much awaited smartphones are available at all Mobilink Business Centers across the country. The telco also announced that on purchase of every iPhone 6s or iPhone 6s Plus, customers will get 12GB free internet for 12 months so they enjoy Pakistan’s best 3G experience on the best smartphone in the market today. The iPhone 6s is available in three different memory variants i.e. 16 GB, 64 GB, and 128 GB, which are available for PKR 79,999, PKR 96,500 and PKR 109,000 respectively. 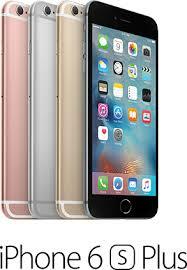 While iPhone 6s Plus is available in 16 GB and 64 GB for PKR 96,500 and PKR 109,000 respectively. Available with the same 4.7 and 5.5-inch Retina displays, the iPhone 6s and the iPhone 6s Plus have the same exterior design as the iPhone 6 and 6 Plus, however the hardware and technology of the 6s and 6s plus have been thoroughly updated. The exterior body and screen has also been upgraded and is now stronger and more durable than any previous-generation iPhone. Other new features that stand out are the new second-generation Touch ID module that makes fingerprint detection twice as fast, and the introduction of the amazing 3D Touch that lets you do more than ever before by sensing how deeply you press the display, letting you do all kinds of essential things more quickly and simply. And with the all-new 12-megapixel iSight camera, and new features taking stunning photos and videos is an incredible experience. The launch is in line with Mobilink’s commitment of introducing innovative services, products and supporting products to improve the overall experience of its subscribers. Customers can purchase the iPhone 6s and 6s Plus from select Mobilink business centers.